Procomp Electronics extruded aluminum and stainless steel shaft mount rocker system includes steel shafts with pedestals. 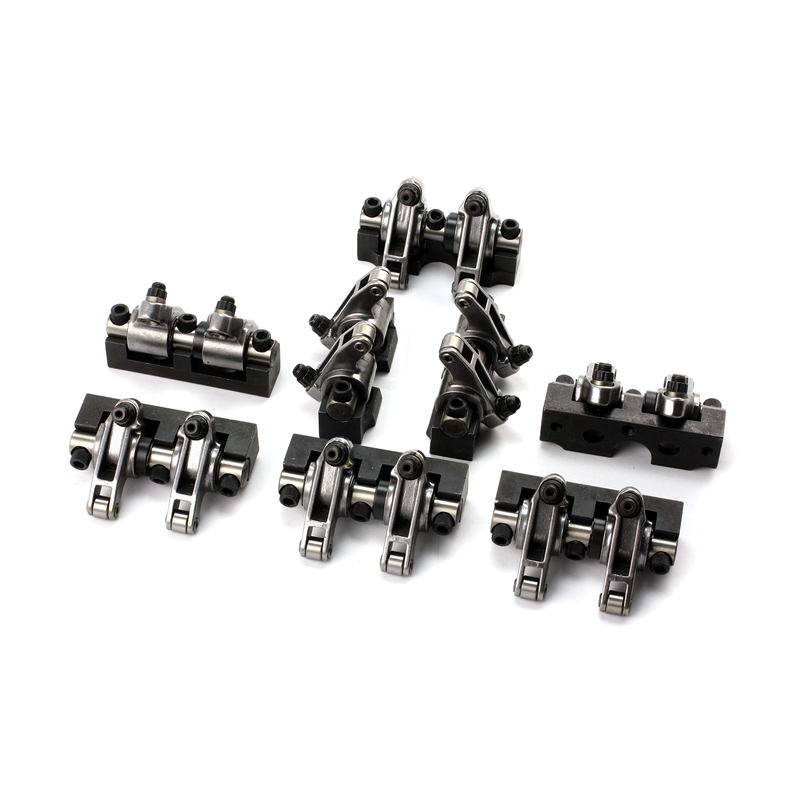 All rockers feature large needle bearings and roller tips. For extreme high performance applications. 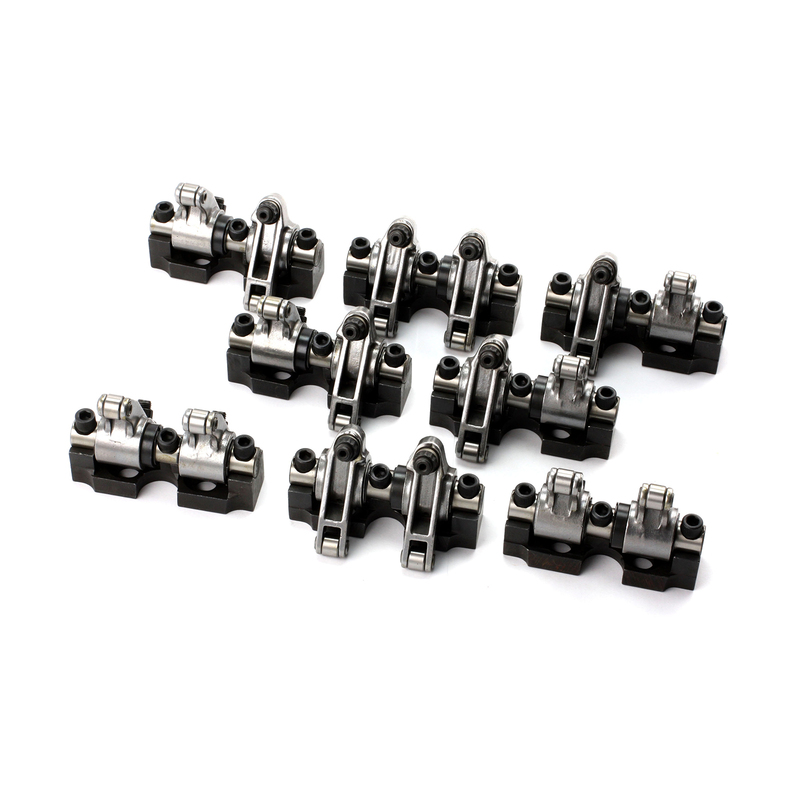 They not only unleash horsepower, but they also lengthen valvetrain component life and reduce wear and tear on valve stem tips. These rockers are precision-machined to ensure consistency and ratio accuracy and have a great looking finish.